It's been seven months since I last posted here! Um...slacker? - The Lurid Library: Ahhhh, incense-y, smoky, with the scent of old parchment...love it! 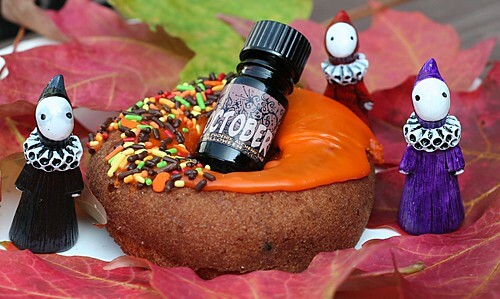 - Samhain: LOVED at first snif, a bit mulled winey, cinnamon, cloves, YUM! - Whitechapel - very lemony and flowery (actually, the flower is lilac, my fav) and strangely, I've been leaning toward scents like this lately. I bought some shower gel from Fresh, Mangosteen, and love it. Heya! It has been ages! I'm really looking forward to my Halloween decants, they all sound so interesting. Not to mention the Inquisition and all the other oil companies pumping out releases...soooooo many things to sniff! Thanks for the welcome!!! Life got busy, you know! Hey...I'm looking for Kill-Devil and Plunder...know where I can get either/or? Ya, life gets very busy...I'm hardly finding time for sleep these days...I need me some!